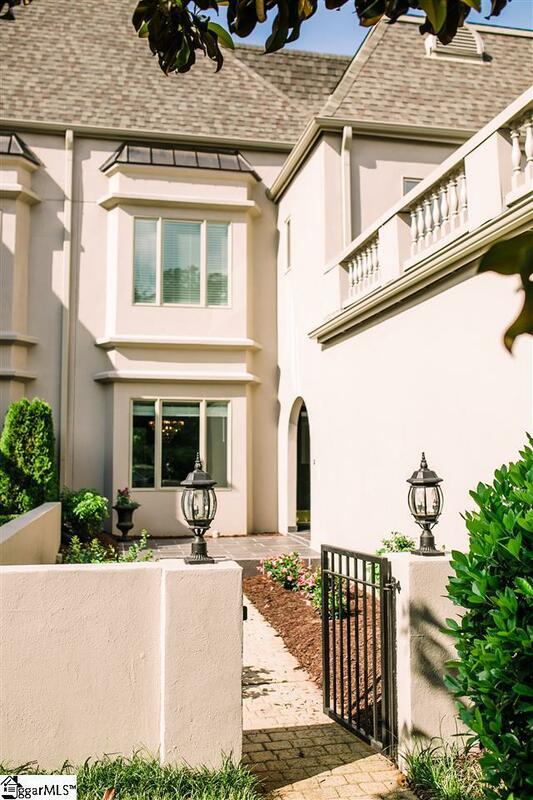 Come see this gorgeous European inspired townhome that is located on the 15th fairway of Thornblade Golf Club, also the home of the BMW Pro-Am Golf Tournament. As you walk through the private courtyard with blooming azaleas you will notice the beautiful bluestone breezeway. Come inside to the open floor plan with hardwoods throughout the main floor, updated kitchen and a guest bedroom with a full bath. Walk outside to your private deck and enjoy the views of the golf course and the quiet sounds of nature. Solar downlights have been added to the deck for a great ambiance during evening dinners outside. If you are looking for maintenance free living and on the golf course you are not going to find a better deal than this!! !